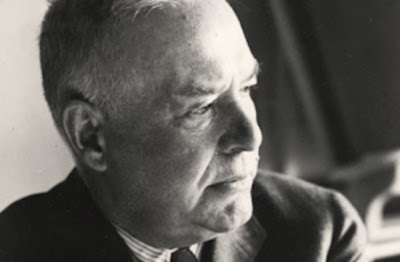 Having decided, a couple of weeks ago, to rename this blog, to emphasize the importance of "politics," let me nonetheless allude to my former title, by passing on an observation from the poet Wallace Stevens, bearing on the "Two Worlds" nature of the reality we inhabit. Precisely so! The World of Nature is the reality into which we are born, and all living things are ultimately constrained by the limits that Nature imposes. For human beings, though, as opposed to all other living things, the World of Nature is only "ultimately" constraining. Most immediately, we inhabit a "human world" that we create ourselves. It is our glory and greatness, as human beings, to be able to go beyond the necessities that are immediately imposed by Nature on all other living things. Because of the twofold gifts of freedom, and our ability to act, we can create our own world, within the World of Nature. Our world, the "human world," is a world that first we dream, and then accomplish. In the world that we create, there is no limitation but our imagination. Let us never forget that. The world we create for ourselves is, in fact, a "political world," and there is nothing we cannot accomplish in that world, if we mobilize both our imagination and our will.